Dupaco Community Credit Union is in the business of improving its members’ financial positions. And assets, such as a home, are key to moving toward financial stability. That’s why Dupaco makes it a priority to educate homebuyers every step of the way—and offers grants and programs to first-time homebuyers to help make the homeownership dream a reality. 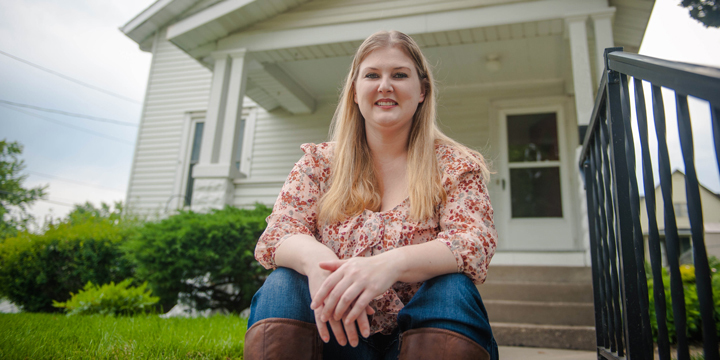 Dupaco experts help first-time homebuyers determine whether they qualify for a grant to assist with a down payment or closing costs, says Krystal Frederick, mortgage lending consultant supervisor. “These programs can help members get into a home a little bit faster,” she says. Dupaco’s MoneyMatch is a matched savings account designed to encourage lower-income individuals and families to save for specific wealth-building assets, including a home, and build toward financial stability. The savings of a participant are matched dollar-for-dollar up to $2,000 from the Dupaco R.W. Hoefer Foundation. Iowa residents can open a designated First-Time Homebuyer Savings Account at Dupaco to save for a home purchase. Eligible participants may claim a tax deduction for the amount deposited up to $2,000 per year for an individual or $4,000 per year for a married couple filing jointly in the state of Iowa. Interest earned on the account is not taxable. Eligible first-time homebuyers may receive up to $5,000 through the Federal Home Loan Bank Grant Program to provide down payment and closing cost assistance. Funds are available to members on a first-come, first-served basis, and are subject to availability. “Last year, we went through $250,000 in two months with this program,” Frederick says.